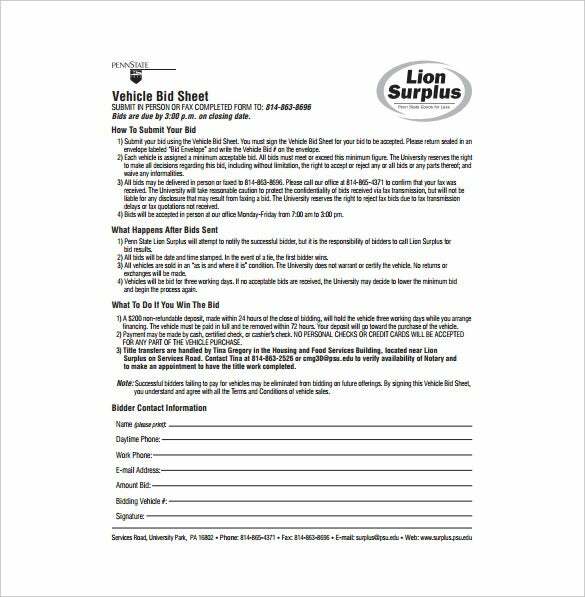 A bid sheet determines whether a donor is going to place an item on bid or not. Bid sheets are thus a vital part of an auction event and it must contain all those interesting information about the items on auction that would make them more appealing to the buyers. 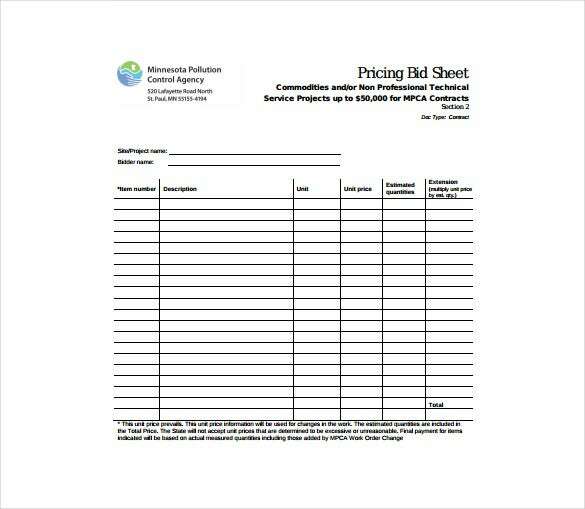 Bid sheet template provides the outline on which the sheet should be developed. It contains all the necessary points that must be covered. 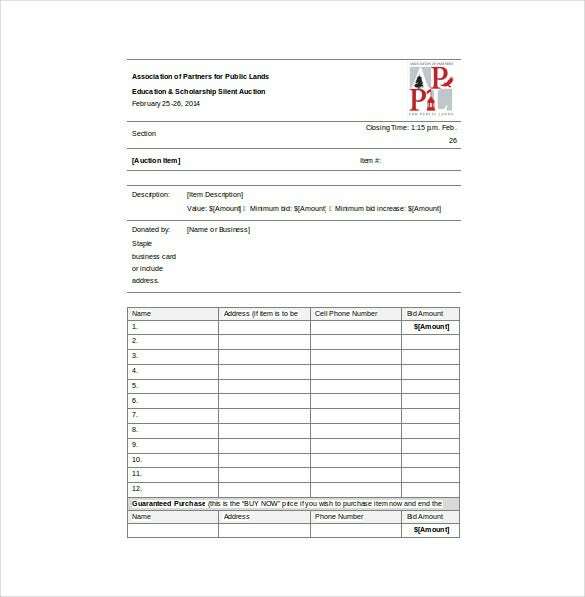 The bid sheet template available with us come in different formats which can be easily downloaded. You may like Sell Sheet Templates. 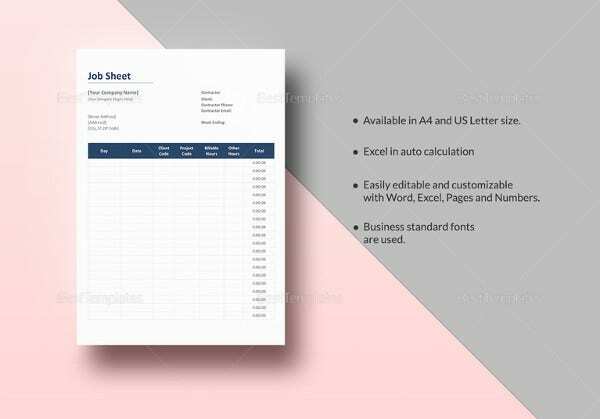 These Sheet Templates formats that they come in include Word, Excel and PDF. 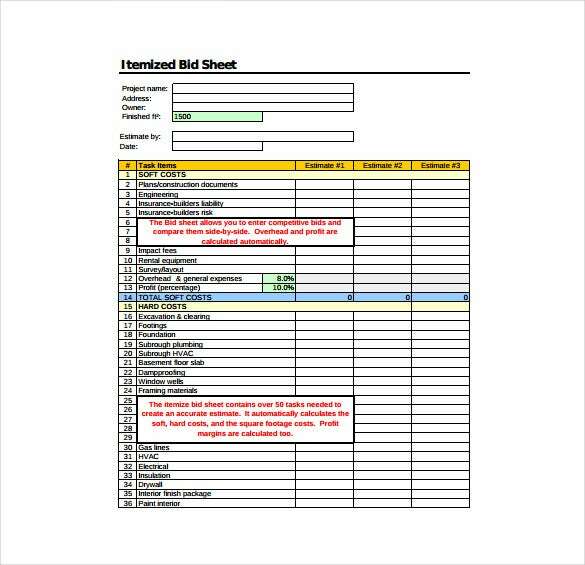 appl.org The silent auction bid sheet is a free of cost template that is available in Word format. The template is easily editable and printer friendly. The user can add details of the auction item, bid amount, cellphone numbers of the bidders and other important and relevant information to the template. 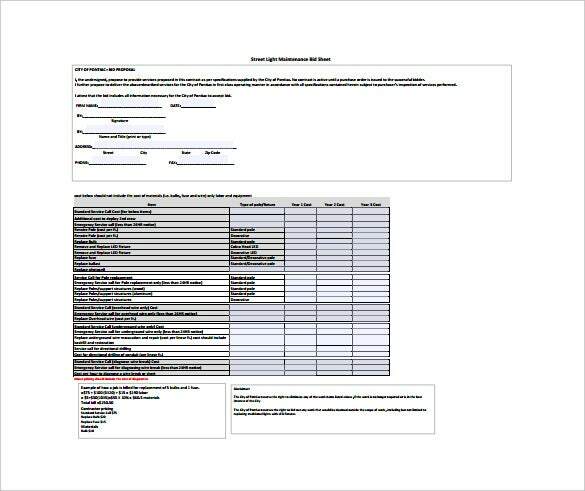 pca.state.mn.us The bid tabulation sheet free of cost Word format template is easy to download and edit and is also printer friendly. 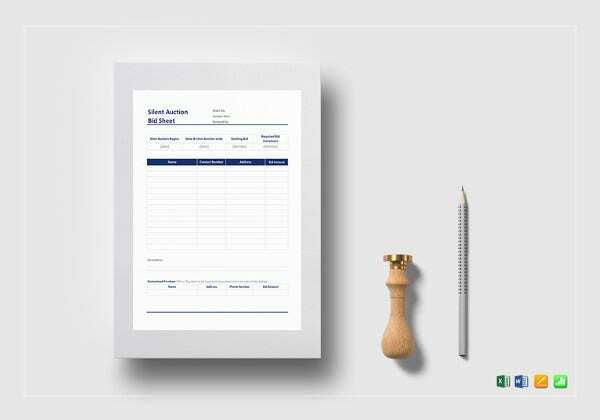 The user can add details such as full description of the items, quantity, units, unit price, signature and other important and relevant information to this template. The templates can be emailed. 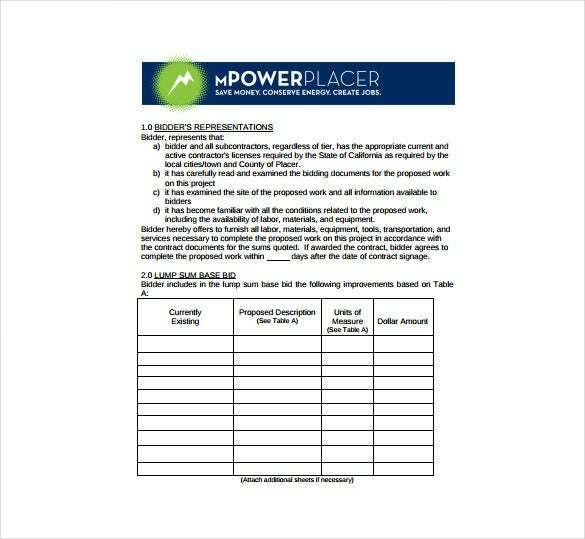 mpowerplacer.org The contractor bid sheet template is a free of cost PDF format template. The template can be easily edited, printed out and even emailed. The user can add details such as bidder’s presentation, units of measure, dollar amount and lots of other relevant and important information to the template. 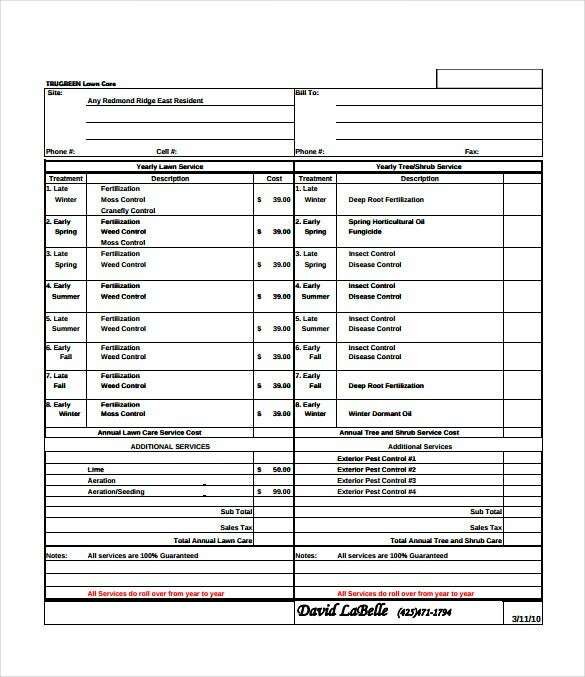 redmondridgeeast.org The lawn care bid sheet free of cost PDF template is ideal for hotels that need to hire a nursery that can take care of their lawns and prevent the grass from growing wildly. The user can add details of the site, contact number, fax number, quotations and other information to this bid template. > What Are The Benefits Of Using The Bid Templates? The bid templates are extremely beneficial to auction houses and companies. The bid templates are beneficial because they make the process of bidding simple, easy and discreet. Additionally the templates are beneficial because they are absolutely free of cost and can be downloaded in a wide range of different formats and styles. 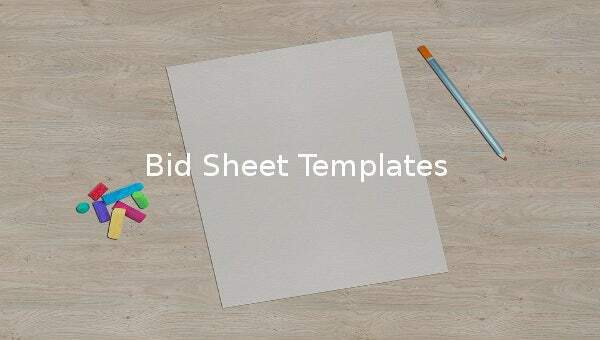 With the help of these ready to use bid templates, the user need not spend hours together attempting to create a bid sheet from scratch. Also the templates are beneficial because they are easy to edit and can be edited to suit the specific requirements of the user without any hassles and easily. > Who Is The Perfect Target Audience For The Bid Templates? The ideal target audience for the bid templates would include auction houses, hotels that are looking to hire professional gardeners to look after their gardens and lawns, civic bodies looking out for construction companies that can make or redo the city’s roads and so on. Typically the templates are best suited for any organisation who is looking to get the best bids for a job or an item that is for sale. The templates can also be used by companies that are looking to get bids on vehicles, street light maintenance, contractors and various others. The bid templates thus can be used by a wide range of organisations. > What Is The Purpose Of The Bid Template? 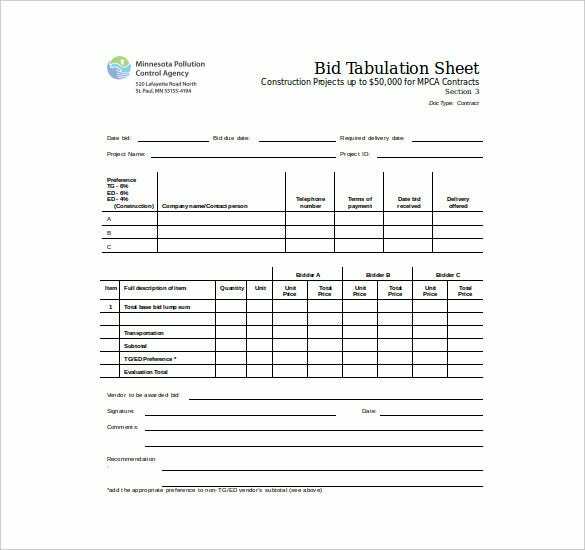 The main purpose of the bid template is to acquire various bids from prospective clients, contractors, maintenance staff and various others. With the help of the bid templates one can get multiple bids in a discreet manner without the details of the bidder being made public. If a company wishes to keep the bids confidential, then the bid templates are the best way to ensure the same. Additionally for an auction house the main purpose of the bid templates is to give complete and detailed information of the auction items to the bidders. These are the major purposes behind the bid templates. So if you’re looking out for the perfect bid sheet for your organisation or auction house, you need not look any further or drive yourself insane trying to draw one up from scratch. Just select one from the above mentioned list that best suits your requirements, edit it, print it out or email it.